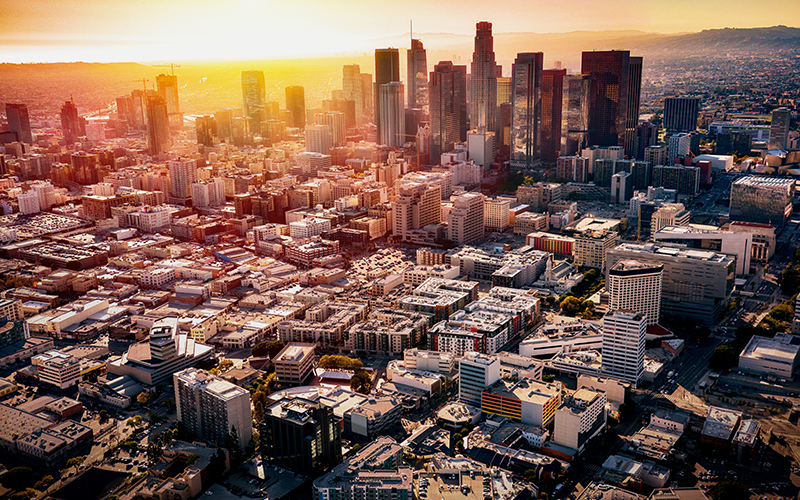 Living in L.A. is not getting any cheaper, but that doesn’t mean you have to settle for a lifetime of instant ramen and streams on a secondhand HBO Go account. You live in one of the greatest cities in the world and there are plenty of events and activities each month that are completely free. In addition to these special events, you can always fall back on our list of 100 things that are always free. Union Station turns into an art gallery, hosting a collection of images taken by Brazilian photographer Sergio Combra as he followed acclaimed Japanese chef Yoshihiro Narisawa. The photos chronicle Narisawa’s investigation of sustainability, innovation, and design in food and culture. Well, the name kind of gives it away. This is an annual celebration of comic books and the indie shops that sell them which involves stores giving away a free comic book to every customer. Organizers estimate almost six million books will be handed out this year. It’s also a chance to check out a new store, or drop in for artist and author events, guest appearances, and other special events. Participating shops around L.A. include Secret Headquarters, A Shop Called Quest, and Alternate Universe. Full list of locations available here. Pop into Highland Park’s favorite music venue for a free Tuesday night concert residency with Arc Iris. The Rhode Island-based band has spent much of the last few years on the road, touring with the likes of St. Vincent, Jeff Tweedy, and Kimbra, and playing the festival circuit. This run of shows at Hi Hat gives you a chance (maybe your last!) to catch the group in an intimate setting; each night they’ll be joined by a collection of other emerging artists you’ll also want to hear. Identity L.A. returns for a day-long festival coinciding with Asian Pacific American Heritage Month. This special event features live music by Mike Shinoda of Linkin Park, rapper Jay Park, DJ duo Hotel Garuda, and other performers of APA descent. Roy Choi has curated a food vendor lineup (including an appearance by Kogi, naturally). One day per year, six museums that dot Pasadena and N.E.L.A. get together to open their doors for free. Spend a Sunday afternoon making your way though the Gamble House (aka Doc Brown’s House from Back to the Future), Heritage Square, the L.A. Police Museum, Lummis Home, the Autry’s Historic Southwest Museum, and the Pasadena Museum of History. Join a group of neighborhood art lovers for a spring time gallery stroll. The highlight of the evening is a tour of the new LACMA Magnet Center inside the Charles White Elementary School. After a browse there, the art walk proceeds on to the Mexican Cultural Center and a reception inside the Mexican General Consulate building. Browse the work of local artists and small-press publishers at this festival of all things zine. Over 200 zine-makers will have their work on hand, there will be readings, talks, workshops, an art display, a photo booth, and an arcade of indie video games to play. If you’re interested in dipping your own toe into putting your thoughts on paper, sign up for hands-on sessions in the Wonderspace. Journalist Susan Hopkins and her daughter, artist Hallie Bateman, recently collaborated on What do Do When I’m Gone: A Mother’s Wisdom to Her Daughter, a sweet, poignant, illustrated guidebook for how Hopkins hopes Bateman will act when the elder woman (currently in good health, by all accounts) passes away. For this reading, they’ll be joined by Jacqueline Suskin for an illustrated live presentation.